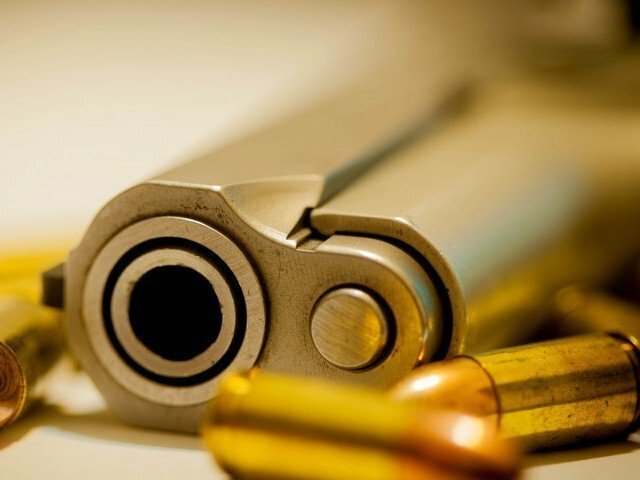 KARACHI: Unidentified men, driving a vehicle that resembled a police van, entered on Tuesday into a jewellery shop and stole Rs120,000 cash and 800 grams of gold. The men, who were dressed in plain clothes, entered a jewellery shop in Sector A/52, Labour Square. They took Rs120,000 and 800 grams of gold and put it in the pockets of one of the shopkeepers, Muzaffar Hussain. They then blindfolded the shopkeeper and his two friends and took them in their vehicle, that resembled a police van. After driving for some time, the robbers collected the cash and gold from the shopkeeper’s pocket, a further Rs55,000 from Muddassir and Rs5,000 from Asif, the shopkeeper’s friends. They left them on the National Highway and escaped in their car. Around six unidentified men were involved in this incident. The case, 38/2019, has been registered on behalf of the shopkeeper. The police have acquired the CCTV footage of the incident and investigation is underway.